The month on the allotment was one of mixed fortunes with bright sunny days turning into cold blustery ones. 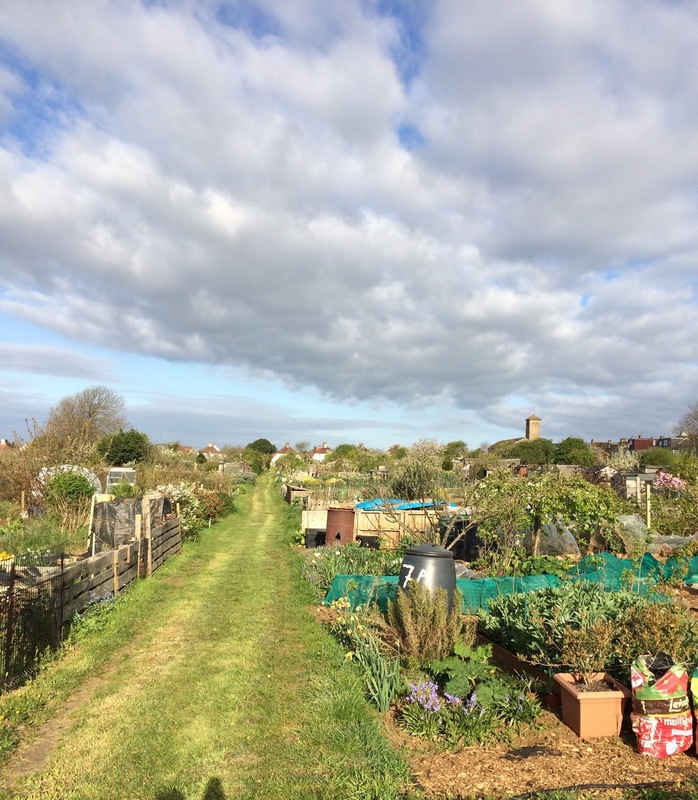 Often the morning would start with bright sunshine when the allotment looked really inviting and it seemed spring was in the air. But after a couple of hours the sky would cloud over or the wind would get up and it would feel more like February. On one occasion we had a bright sunny morning followed by sleet and hailstones! We have had some cold drizzle but no April showers and the soil is dry and brick hard. It has been one of the driest Aprils on record and farmers have been badly hit too. 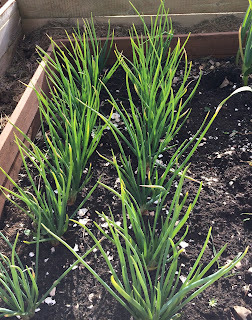 Seedlings that I had taken out of the conservatory at home to harden off have been affected by wind-chill and are stunted and I doubt whether they will recover sufficiently. As a safeguard I have ordered some plugs to try to ensure some crops later in the year. 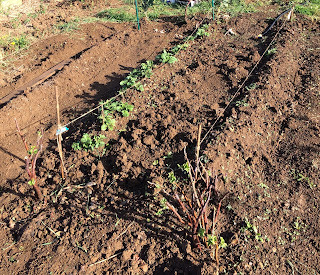 Two rows of early potatoes are looking healthy, but have required a lot of watering, and we are waiting for the third row of second earlies to show. 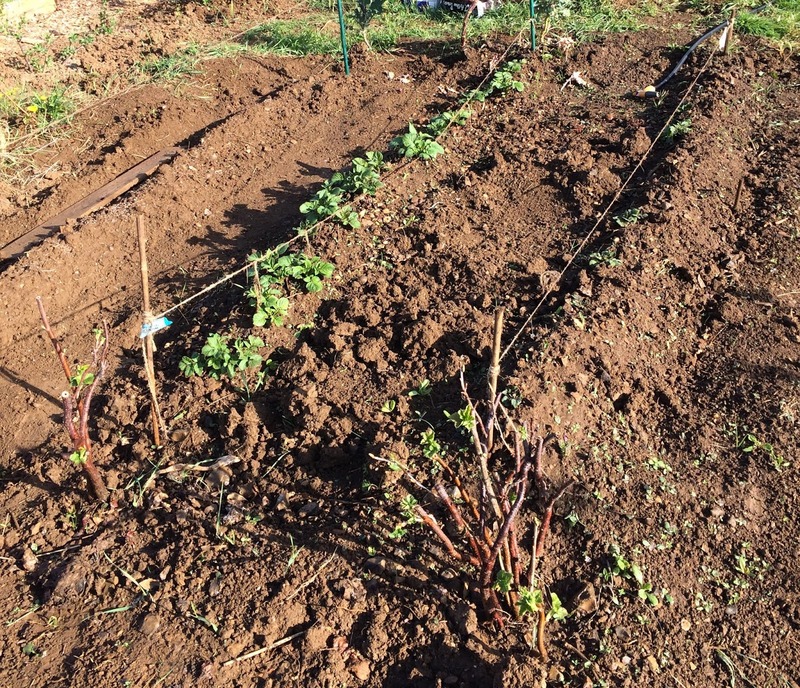 We have top-dressed the blueberries growing in pots and cleared much of the couch grass around the raspberries and fruit bushes. Some of the gooseberry bushes are in bud and the blossom is just beginning to show on the plum trees which we inherited. Just need to do lots more watering!